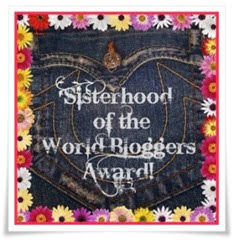 I want to send out a big THANK YOU to Fit Journey 50 for nominating me for the Sisterhood of the World Bloggers Award! This award represents Attitude and Gratitude. In that spirit, I’m very grateful to have found a wonderful community of bloggers to interact with and had trouble choosing only a few. Here are some blogs that I enjoy reading on a regular basis and hope my followers check them out and enjoy them as well. Post the links to the nominees’ blogs and notify them on their blog. Now, here are some awesome, inspiring ladies who you just HAVE to go check out! To all these lovely ladies … keep up the great work!! Thank you SO much for the nom! I am going to need to get on top of this and do a post! You’re welcome – you’ve earned it! Thank you so much 🙂 I love your blog too and will definitely be nominating back! I see you around X-Sport sometimes too, I swear I’m going to get my act together and try your cycling class/pilates/piloxing at some point. Life has been crazy! Thank you. In an attempt to shoehorn mentioning this into this month’s app challenge, any fitness app you’d like me test? You’re welcome! I don’t use too many fitness apps, but I’ll look forward to seeing what you decide to feature! Oh I also wanted to ask you…where did you get your Pilates cert and do you have any recommendations/ tips? I have been thinking about doing this for a while, but not really sure where to turn. I am certified Instructor through ACE already, but want more specialized training. Thanks! You’re so welcome! I actually have a PiYo certification, from back before it was more general and less choreographed (we’re talking 7-8 years ago). I’d recommend seeing what is nearby you – the Physicalmind Institute, Powerhouse Pilates and Peak Pilates (through Mad Dogg) are some of the big ones, but often local studios will host trainings. It depends on how much you want to spend … you can get a weekend cert for as little as $300 or $400 (this is what I did, as it was my very first cert and I was young and poor at the time), or one of the extensive, weeks-long programs for several thousand. Just depends on what you’re looking for!